You know those times when you make a grand entrance at a holiday party with the nagging thought skittering around the back of your mind “I cannot eat more junk. If I consume one more chocolate treat I’m going to explode.”? Nah. Me neither. However, I understand these kinds of people exist. For all your veggie loving friends, I give you these delightfully fresh and light Dilly Cucumber Bites. 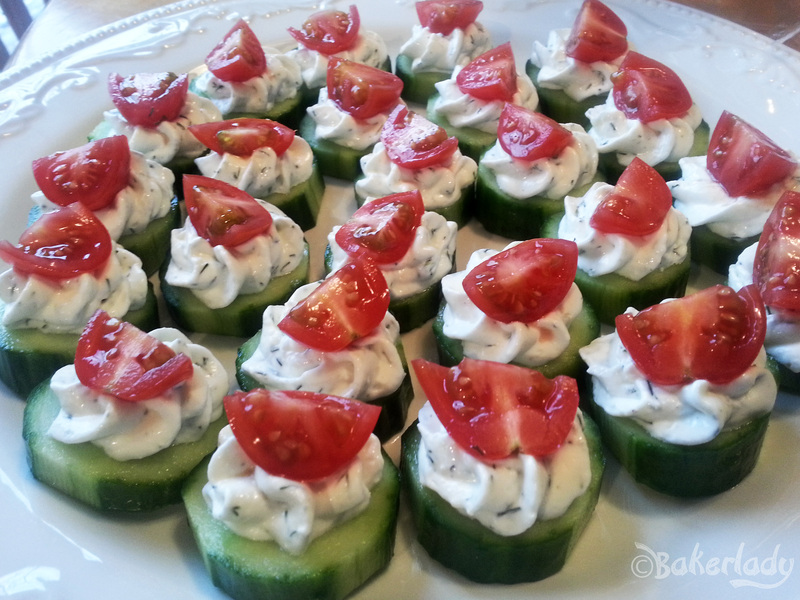 Sliced cucumbers get a dollup of creamy topping tinged with fresh dill, garnished with tomato. Festive, simple and perfect for parties! Make a couple batches! As the not-so-bad-for-you option on the buffet, they disappear like lightning! This week, I’m sharing some of my favorite Christmas Party foods. Everyone needs a few good, go to items to bring when you’re invited out at the holidays! We’re starting off with a recipe I stole from a friend after she brought it to a party last Christmas. The beautiful red color of the cranberries is perfect for this time of year! With sweet and tangy flavor from the cranberries and heat from jalapeno, they’re bright and vibrant in your mouth! You’ll be snagging these little babies until the plate is empty! Extra recipe for a genius use of the drained juice since I hate wasting things with so much flavor! After you’ve let the berries soak in sugar and drain the juice, you are essentially left with cranberry simple syrup with a little pop of jalapeno. I whipped up an amazing martini for my husband by combining 3 parts vodka to one part cranberry syrup (drained juice). Shake over ice and pour into a martini glass. 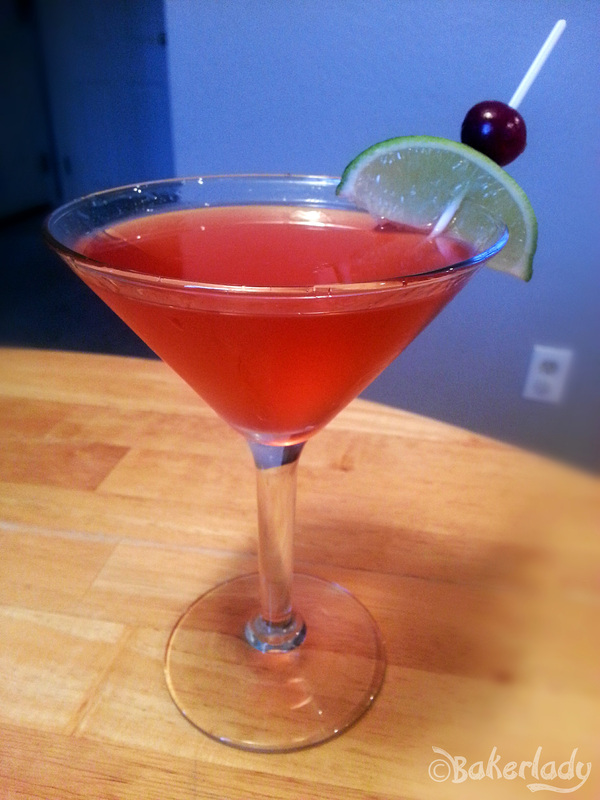 I wish I had a little jalapeno for a garnish with the cranberry…alas, had to use a lime. Oh well. Delish! Place baguette slices on baking sheet, drizzle with olive oil. Bake 5-6 minutes until golden brown, let cool. In mixing bowl combine cranberries, sugar, green onions, and jalapenos; mix until combined. 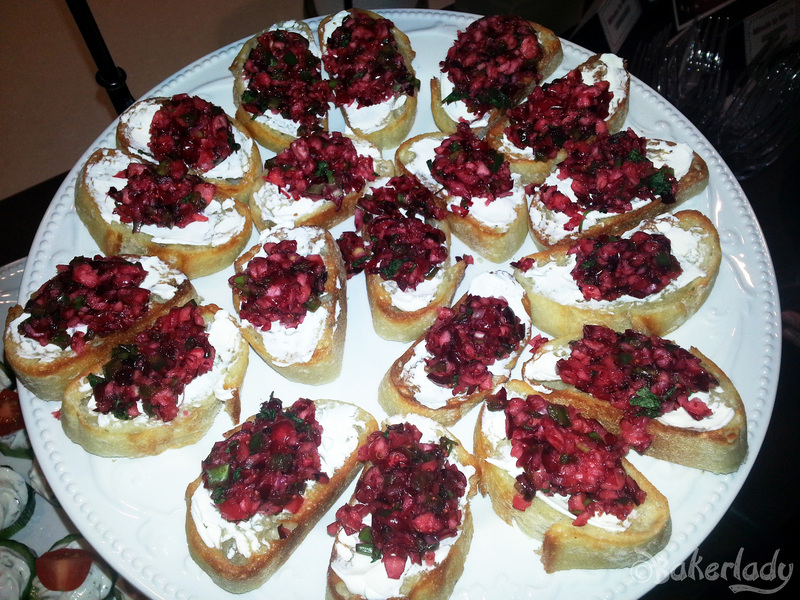 When ready to serve spread 1 Tbsp cream cheese on each baguette, a dollop of cranberry mixture, garnish with additional cilantro leaf and cranberry if desired. Enjoy!